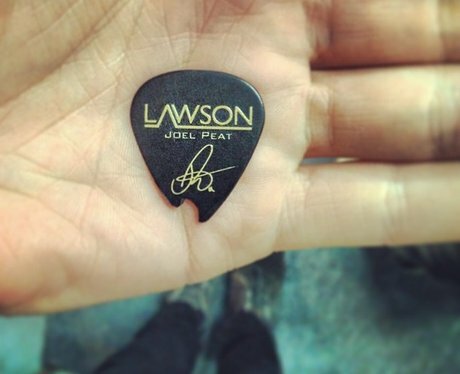 Lawson's Joel Peat Teases Fans From His Soundcheck At Wembley Stadium! 5. Lawson's Joel Peat Teases Fans From His Soundcheck At Wembley Stadium! The 'Taking Over Me' star and his bandmates have been gearing up for the Ball with their soundcheck.